It was almost exactly five years ago that my friend Lindsey gave me cutting from her beloved rhubarb plant. It had grown to an immense size and needed to be divided, and since I'd regaled her innumerable times with my rhubarb history, she deemed me worthy of inheriting a chunk of her leafy offspring. 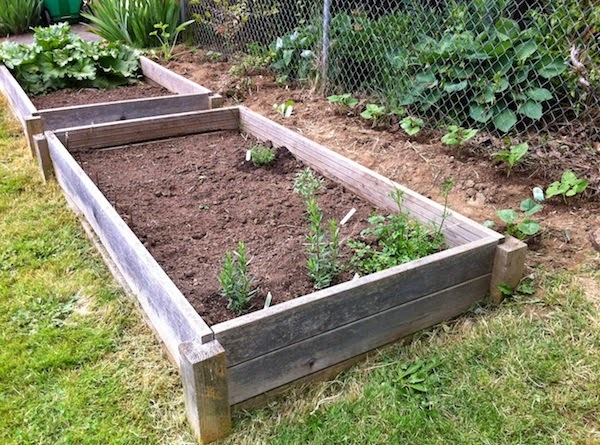 My initial idea to plant it on one end of our raised beds was a definite miscalculation. Within a couple of years it had almost completely taken over half the bed with its spreading branches (far left), requiring transplanting to another spot where it could leaf out with abandon. 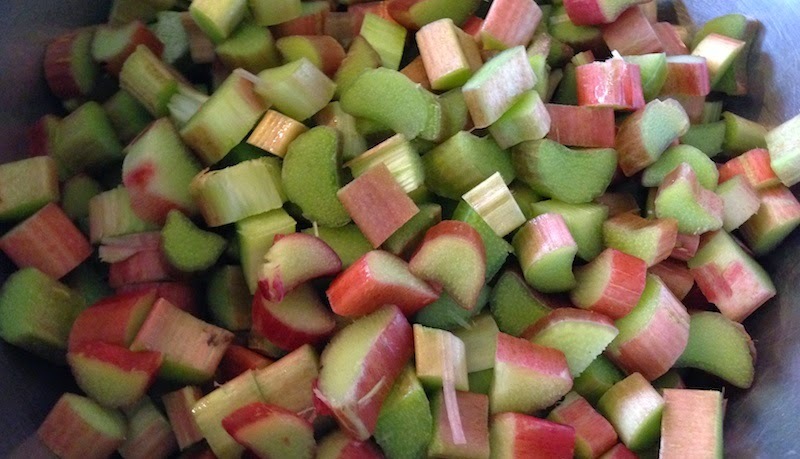 That move, of course, set back any harvesting for another couple of years, but finally this spring I managed to pull off a few early stalks, enough to make the first rhubarb crisp of the year (right). Mix together dry ingredients in medium sized bowl. Pour in melted butter or margarine and stir with fork to distribute. 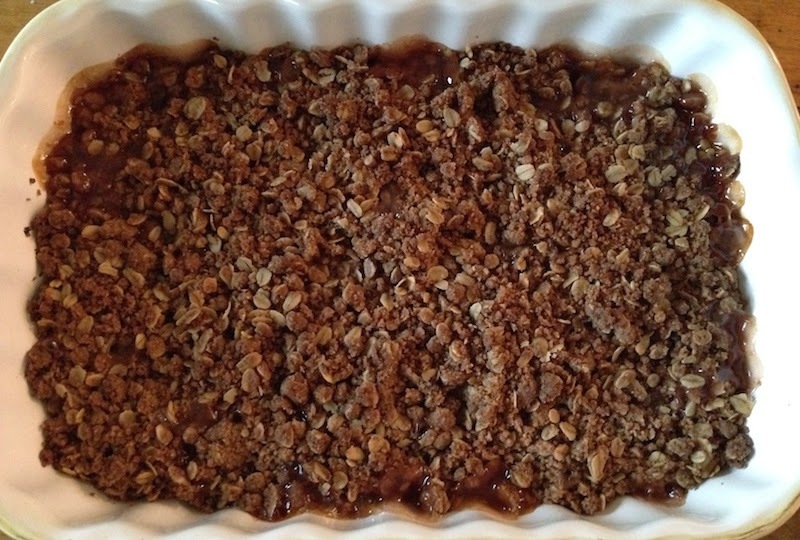 When well-mixed and crumbly, scatter on top of fruit in pan. Slice fruit into large mixing bowl. Add sugar, water, cornstarch and vanilla and mix thoroughly. Put in 9” by 12” by 2” baking pan. Scatter topping mixture evenly over the top and bake in 350 degree oven for 55 min. There's the easy way and then there's the slow way. In describing how Anthony and Carol Boutard process the Roy's Calais Flint corn they grow at Ayers Creek Farm, I said that Carol used a hand-cranked, cast iron corn sheller to take the dried kernels off the corncobs. Yesterday it was my turn to learn how that part of the process works by helping Anthony shell and clean 10 large bags of corn, ending up with 175 pounds of shelled corn kernels. Why don't they just buy an automated machine that would do the same job faster and easier? Anthony said that at a cost of more than $20,000 and at their scale of production it doesn't make economic sense. That means the old hand-cranked sheller is assured of many more seasons of work. 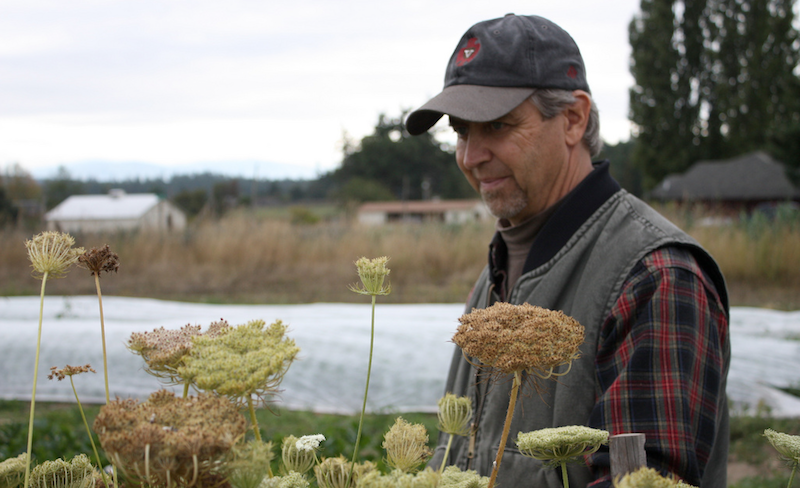 Dr. John Navazio, a senior scientist with the Organic Seed Alliance and Organic Seed Research & Extension Specialist at Washington State University, is one of the nation's premier experts on plant breeding and seed production. I felt his comments on a widely circulated article in the Washington Post deserved reposting. Re-posted from Organic Seed Alliance’s Seed Broadcast blog. A recent Washington Post article by Adrian Higgins, titled “Trait by trait, plant scientists swiftly weed out bad seeds through marker-assisted breeding” (April 16, 2014), overstates the potential of marker-assisted selection (a molecular plant breeding method) and makes the dubious claim that it’s the most promising plant breeding method available today. We agree that marker-assisted selection (MAS) has a role in crop improvement and has helped breeders for a quarter century understand the relationship between genes and plant traits. It is good basic research. But MAS is just one tool in a plant breeder’s toolbox, with clear limitations, which the article largely dismissed. 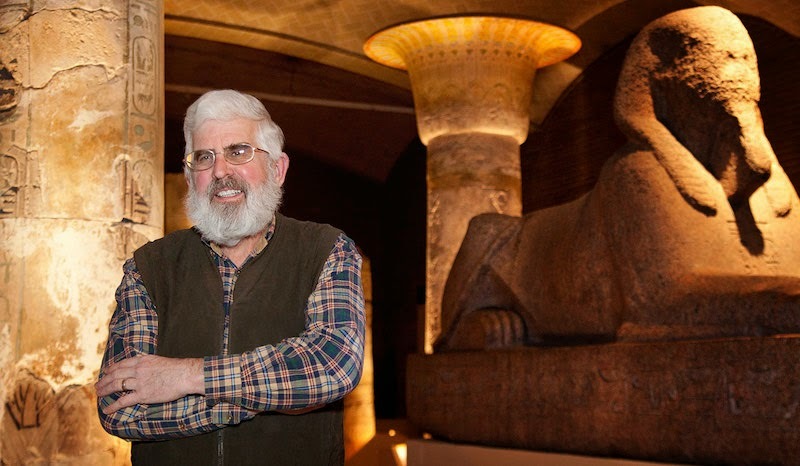 Amid this rush to the “trendy sphere of molecular breeding,” as Mr. Higgins put it, we are seeing a troubling de-emphasis on, and de-funding of, classical plant breeding that produces dynamic, genetically resilient crops across diverse—and changing—agricultural environments. Classical breeding, rooted in field-based selection for the subtleties of a plant’s genetic response to environmental change, has proven to be highly effective for many traits that are more complex than can be discerned in a lab. Field-based selection can be practiced with limited resources and precision. Yet fewer funds are being directed to these breeding programs at our public institutions that for decades have delivered regionally adapted plant varieties to farmers and trained the next generation of breeders. 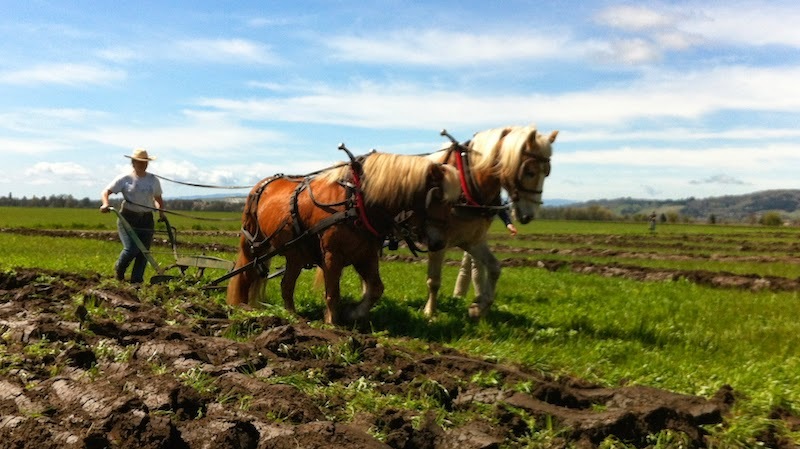 We need to reprioritize classical breeding to help address our most pressing 21st century food and agriculture needs. Photo at top from the Organic Seed Alliance blog. Dinner is my nemesis. I know it sounds weird for a food lover, not to mention someone who writes about the subject for a living, to say that, but cooking dinner every night is drudgery, dang it. Sure, inspiration strikes, some fantastic recipe crosses my path, a gorgeous (and budget-friendly) cut of meat calls to me from the butcher's case or friends coming for dinner sets me off on a quest for a new menu to try. But there's also the curse of having been raised on the concept of a "balanced meal," that mantra of meat-starch-veg, the om shanti om of my mother's generation. If we happen to be low on green stuff, I practically grovel for my family's forgiveness at committing such a grave disservice to their colons. Suffice it to say that I was sans ideas last night when it occured to me that it was time to start dinner, something that conveniently slips my mind with startling regularity, as in "What? How did it get to be 5:30 so soon?" Rummaging through the fridge and scanning the pantry, I came up with a typical list that might be given to a contestant in a black box challenge. "Kathleen, here are six ingredients that have nothing in common. It's your job to make a nourishing and delicious meal out of them. Go!" Hm. Rice. Part of a can of leftover tomato sauce. A bunch of kale. Onion. Garlic. Two potatoes. It occured to me that it was Monday, so meatless could be a way to go. I'd been craving curry lately, we had some chutneys in the fridge and my family is pretty game for Indian flavors. I was on my way. A half hour later we sat down to what I have to say was a pretty darn satisfying dinner, all in all. Unfortunately, now I have to start wondering what to make for dinner tonight. Dang it. Heat oil in deep skillet over medium heat until it shimmers. Add onion and sauté till translucent. Add garlic and sauté briefly, then add turmeric, cumin, coriander and red pepper flakes (if using). Sauté until they're very fragrant, then add potatoes and cook for 2 minutes, stirring frequently to prevent sticking. 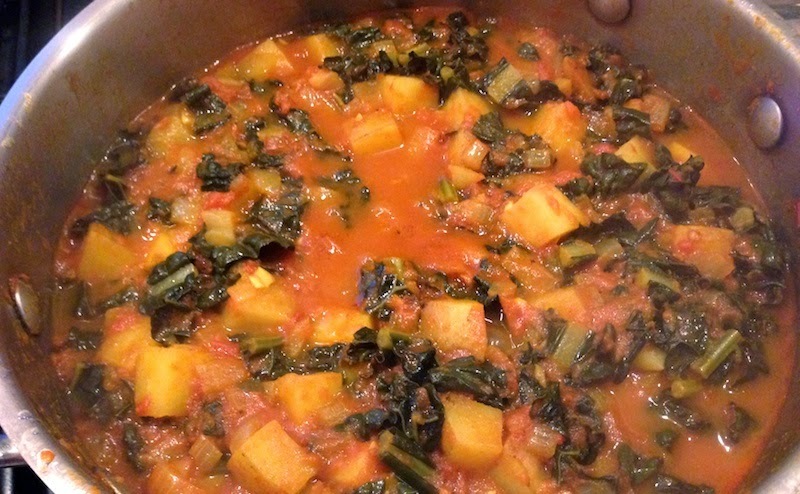 Add kale and tomatoes and bring to a simmer, stirring until kale wilts. Add water if it seems too thick. Cover and simmer over low heat until potatoes are tender. Add salt to taste. While curry cooks, bring 3 cups of water to a boil. Add rice and when liquid returns to a boil, reduce heat to low and cover, simmering for 20 minutes or just until the water has been absorbed. Serve curry over rice with selection of chutneys on the side, if desired. 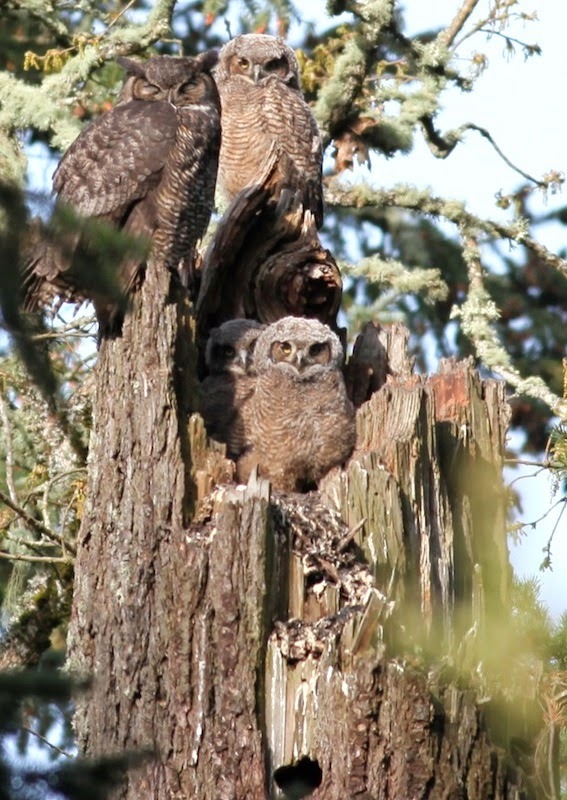 Here is the trio of owlets. Recall, the eggs are laid several days apart, and the female has to start incubating immediately or the eggs will freeze and die. The first egg was laid the 1st of February and the third around the 20th. 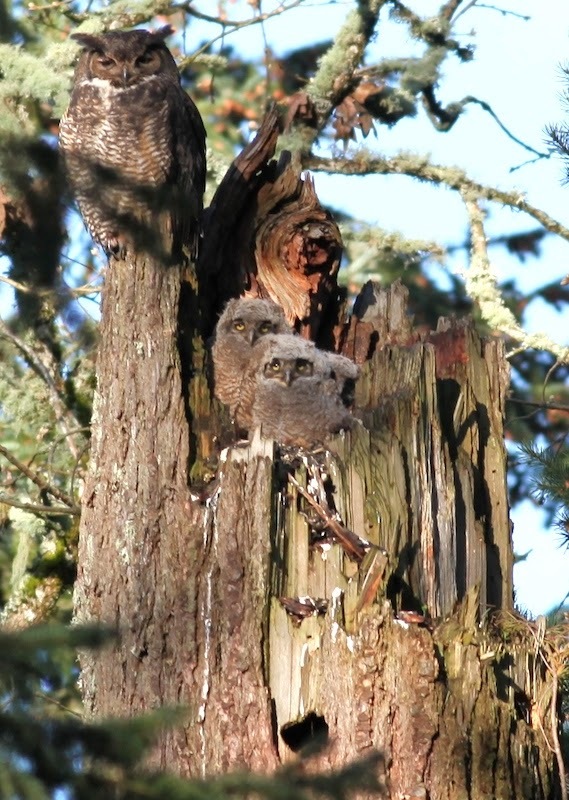 The size difference between the three owlets remains obvious, with the eldest sitting next to the mother. Their immature plumage is emerging and the facial disc is well developed. Any day now they will leave the nest and roost in the fir limbs. It will be nearly a month before they can actually fly, but they will be able to hop about the trees and build their flying muscles. If you've noticed little bees buzzing in your grass, with tiny piles of dirt pushed up around little holes in bare patches, you might be lucky enough to be hosting Andrena bees, also known as miner bees. Sabin School, in northeast Portland, noticed that there was a large population of bees in the ball field adjacent to their school. Rather than calling in exterminators, they called the Xerces Society, a non-profit organization that works to preserve invertebrates and their habitats. After examining the bees, to the relief of school officials and parents, the society told them they had a species of non-stinging bees in the family Andrenidae. In fact, the field was home to one of the largest populations of the bees that the Xerces Society had documented. Now the bees are not only the subject of science classes at the school, but they've been named the school's official mascots, the Tickle Bees. Recently, local television station KATU came out to talk with Mace Vaughan, director of the Xerces Society's pollinator program, to talk about the bees. Spring is a slippery girl in Oregon, always teasing us with temperatures that can swing up into the 70s then plunge south 20 degrees, often in a single afternoon. She shakes her curls and the wind picks up, scattering blossoms from the trees onto the ground. With a season like that, it's good to be able to turn on the oven and wring a little comfort out of the day until that girl settles down into her lackadaisical summer mood. An extra step, but so worth it! There are few if any more braise-worthy cuts of meat than short ribs, and I am happy to play to that strength, even to the point of parting with one of the few treasured quarts of roasted tomatoes left from last summer. (Can you tell I'm getting a tad parsimonious with them about now?) And one of my favorite recipes is one I've shared before but is so incredibly good and terrifically simple that I had to bring it out to play again. So until spring quits playing hide-and-seek behind the trees just leafing out and trades in her Easter frock for a sun dress, I'll be happily braising up my own storm in the kitchen. Cook the pancetta in a large Dutch oven over medium-high heat until the fat renders, about 2 minutes, stirring occasionally to keep from sticking. Season the short ribs on both sides with salt and pepper, add them to the pan, and brown the meat, about 5 minutes. Remove the short ribs to a plate, then add the onion to the pan and cook until it softens, about 1 minute. Add the garlic and the red pepper flakes, mix well, and continue cooking. Crush the tomatoes over a bowl with your hands, then add them to the pot along with their juice. Bring the mixture up to a low boil. Add the browned short ribs to the pot and place it in the oven. Cover the pot tightly (you can cover the pot with a piece of parchment paper, then place the cover on top of the paper to help seal it). Check the ribs about every 30 minutes or so to make sure they're not boiling too hard. Cook until the meat is supertender and a fork can pass through it without sticking, about 2 1/2 hours. Toast the pine nuts in a dry sauté pan over low heat, shaking the pan occasionally to avoid burning or sticking, about 6 minutes or so. Add the olive oil and mix well. Add the breadcrumbs or panko and continue cooking over low heat, mixing occasionally, until everything is toasty brown, about 2 minutes. Cool and transfer the mixture to a medium-sized mixing bowl. 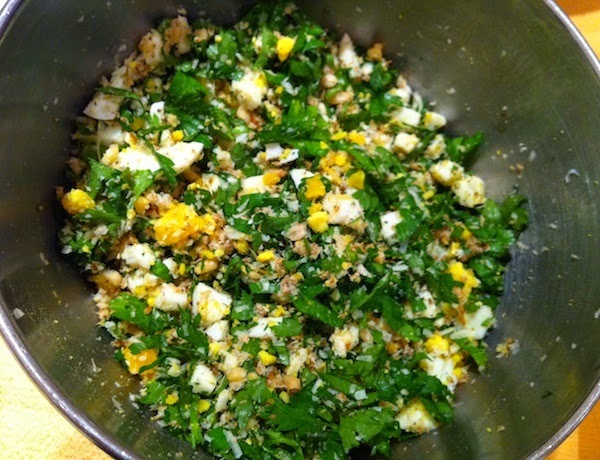 Add the oregano, parsley and chopped eggs. Season with the salt and pepper. Stir in the Parmigiano-Reggiano. Remove the pot of short ribs from the oven and immediately remove the ribs to a plate, using a pair of tongs. Use a ladle to remove some of the fat from the sauce by pressing the chunky sauce away as you tip the pot so that the ladle fills only with the clear fat. (This is optional, but it definitely makes the sauce prettier—there are about 2 tablespoons of fat there.) Add 1/2 cup of water to the sauce and stir to bring it together. Place 1 to 2 pieces of meat on each plate. Pour the sauce from the pot directly over the short ribs and sprinkle the topping generously over each dish. 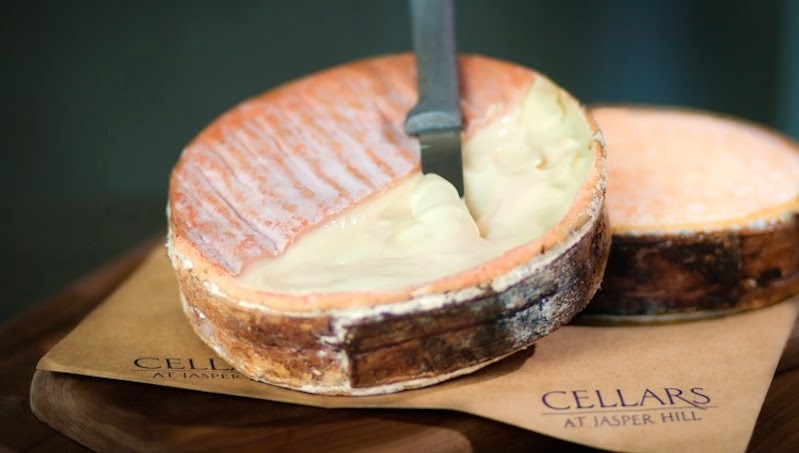 Can be served with polenta. Leftovers are stunning when the meat is shredded and mixed with pasta. The topping itself would be great with pasta, too, as a variation on pangrattato. I'd gone to Ayers Creek Farm to help with some chores, but the first thing I did was to head out behind the house where I knew Anthony had his telescope set up. This time of year it's focused on the top of an old snag about a hundred yard from the house in a grove of firs. Looking through the eyepiece, I could see three fluffy grey humps. One hump shook itself and turned into the sunlight that was just coming up over the hills to the east. Piercing golden eyes lit up, and when I whooped the other two humps turned and I was the one who was being watched. I tore myself away from the three great horned owlets when I heard Carol starting up the gator to head over to the shed—actually a large new processing barn for the corn, beans and berries that are grown on the farm—to help grind 120 pounds of flint corn needed for the week's deliveries to some of Portland's best restaurants. Carol escorted me to the back room of the shed and introduced me to my companion for the day, a small corn mill (top video and left) that, shaking and rattling, has ground their signature Roy's Calais Flint cornmeal for the past several years. If you've ever heard the words "artisan" or "slow food" or gone to the farmers' market and wondered how a farmer could charge several dollars for a one-pound bag of organic corn meal, I have your answer. 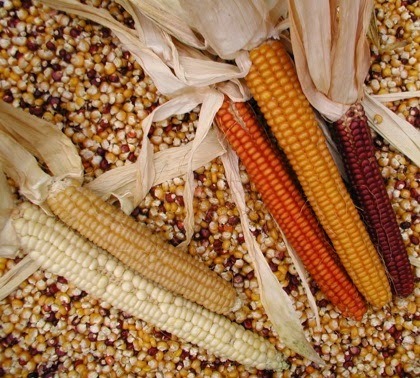 Let's not go into the several years it takes to develop the perfect corn for your climate that grows well, is resistant to local pests and yes, tastes good, too. 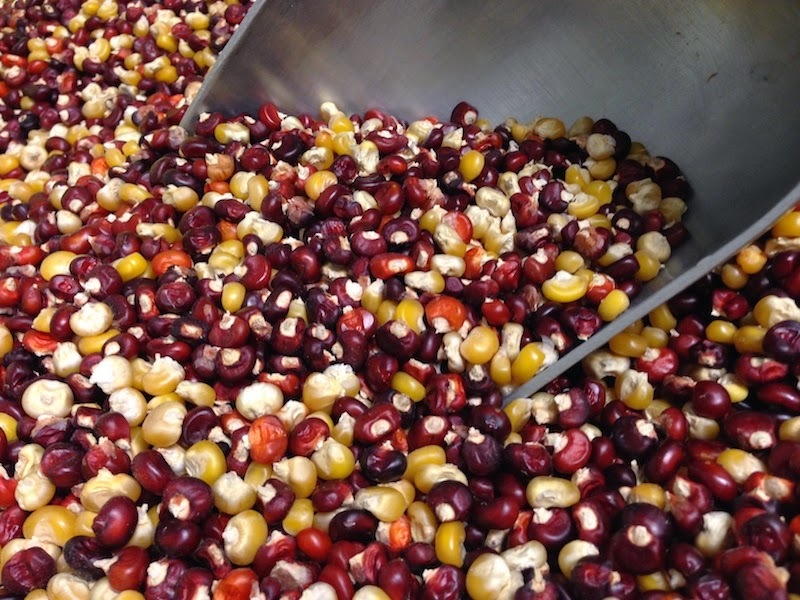 The year before planting, thousands of that season's harvest are sorted to find just the right kernels to use for seed for the next season's crop. When the next spring arrives, it's time to prepare the fields, plant the kernels and make sure the plants survive to maturity. In late summer the corn is harvested, the stalks are stripped, the cobs are dried for several months and then sorted to find the very best ones to grind into cornmeal. Those selected cobs are bagged and stored until it's time to grind the corn, which is where I entered the picture. 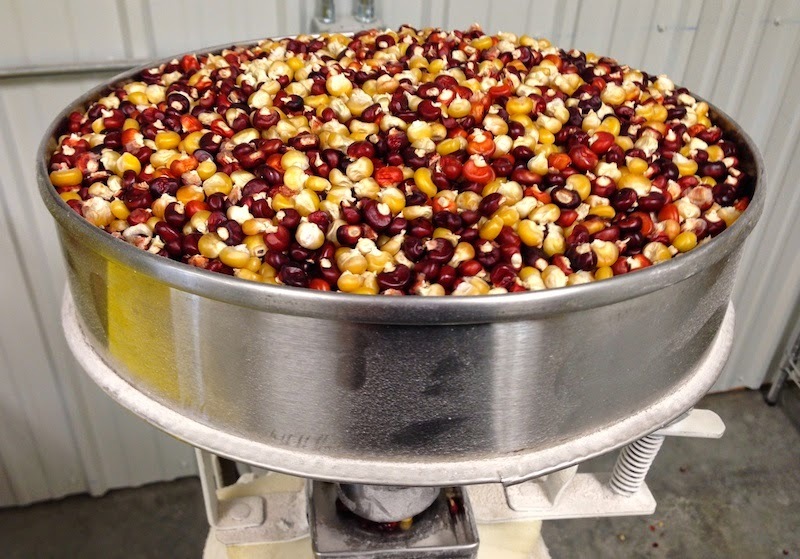 Carol had put the cobs through a hand-cranked cast iron corn sheller that removed the dried kernels, then run them through a cleaner that removed the silks and other debris from the shelling process. 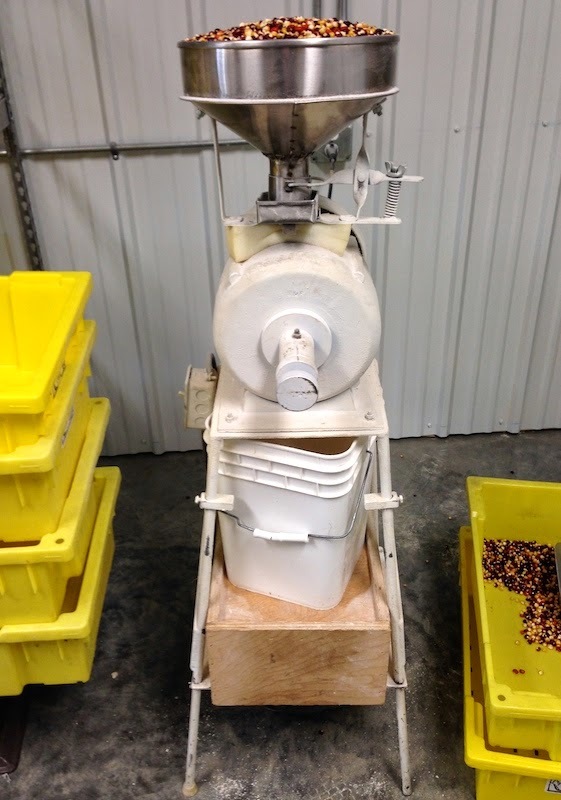 The crates of shelled kernels were stacked next to my grinder friend, and it would be my job to turn the machine on, fill the hopper with kernels and watch as they dribbled down through the grinder, each hopper-full filling the bucket at the bottom with around 10 pounds of cornmeal. After the bucket was filled and I'd set it up for the next batch—it took about 20 minutes or so to run the full hopper through the grinder—I turned on the machine and then headed into the main room with the bucket of cornmeal. Each batch of the ground meal had to be hand-sieved through a mesh-bottomed frame with handles at each end, which meant dumping about three pounds at a time into the sieve and shaking it into a tub until all the meal had filtered out, leaving a pile of larger corn bits and husks from the kernels. The sieved cornmeal was still slightly warm from the grinding, and the smell of the freshly ground corn was like fresh tortillas or a warm pot of polenta—distilled comfort. After each bucket had been sieved, I scooped the meal into a tub to weigh it out into five-pound portions that I bagged and labeled. Then it was time to run back to the grinder for the next bucket, take it out of the grinder, put in a fresh bucket and refill the hopper. Did I mention that this had to be done for 120 pounds? Right. By mid-afternoon, having paused for a lunch on the patio of lamby-licious shawarma wraps from Izgara in nearby Forest Grove, the crates were filled with bulging bags of cornmeal ready for delivery. Baptized from head to toe in cornmeal dust, I drove back to town with a new appreciation for what it took to produce those little one-pound bags of cornmeal waiting for me on my next trip to the market. There's a lot of buzz about the importance of pollinators to our food system and a big push for home gardeners to include more bee-friendly plants. 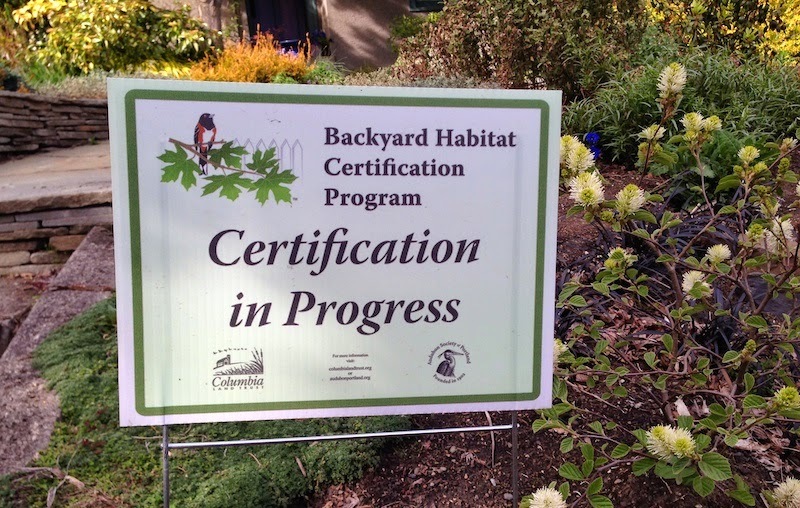 Some of your neighbors, like mine, might be looking to get their yards officially certified as officially bug-friendly habitats. So it's time to start making lists of the plants and seeds we need, then head to the nursery, right? 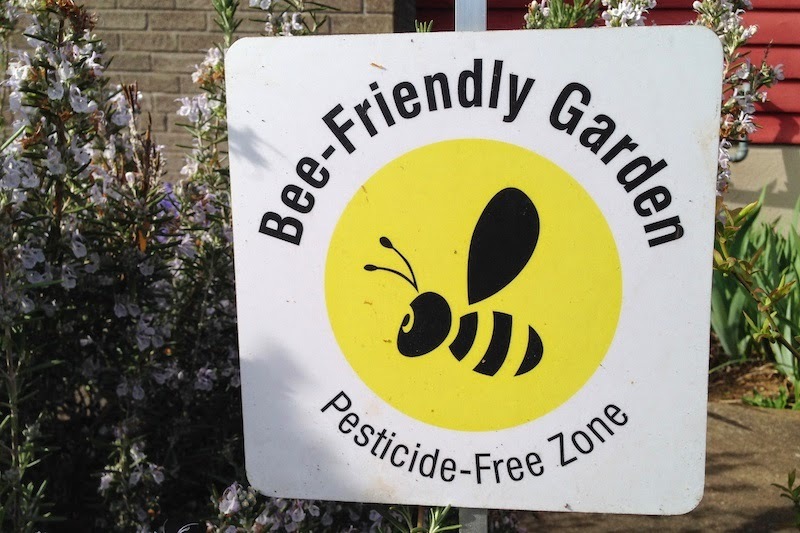 Well, pause a moment in that list-making, friends, because what you may not be aware of is that some of those lovely plants at the nursery labeled as "bee friendly" might actually be harmful or even toxic to pollinators. Remember last year when a Wilsonville landscaping company sprayed dozens of blooming linden trees, killing more than 50,000 bumblebees? The insecticide they used to spray the trees—apparently without reading the instructions, which strictly forbade using it on trees in bloom and which the company was subsequently fined a bit more than $2,800, about a nickel a bee—is one that is often used on landscaping plants. Called a neonicotinoid, or "neonic" (pron. NEE-oh-nick), it's a systemic chemical that's absorbed by the plant and dispersed through the plant tissues, including pollen and nectar. Developed to target nerve impulses in insects and other invertebrates, neonicotinoids are deemed "safe" since harm to humans and other mammals is minimal. 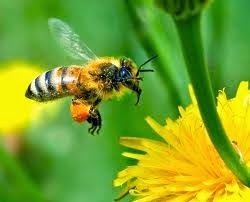 However, neonicotinoids are toxic to bees and many other beneficial insects and can linger in the soil for months or even years, where they can be picked up by the next season’s plants. Even when used according to printed instructions, the concentration of neonicotinoids in garden products can be dozens of times greater than the amounts found on farm crops. This means that bees can be exposed to lethal doses of neonicotinoids in gardens. Even if bees are not killed outright, smaller, nonlethal doses can impact their health, causing bumblebee colonies to grow more slowly, produce fewer queens and impair honeybees' ability to fly, navigate and forage for food. Only one nursery in the Portland area, Garden Fever on NE Fremont, has pulled all pesticides containing this group of chemicals from its shelves. At any of the other garden stores it's important to ask staff people if the plant you're buying has been treated with systemic pesticides at the wholesale nursery or grower, or if that grower uses neonicotinoids in spray form or as granules (since they can travel through the air or linger in soil). If the staff doesn't know or isn't sure, you can call the distributor, but your best bet would be to buy organic plants and starts to be sure. 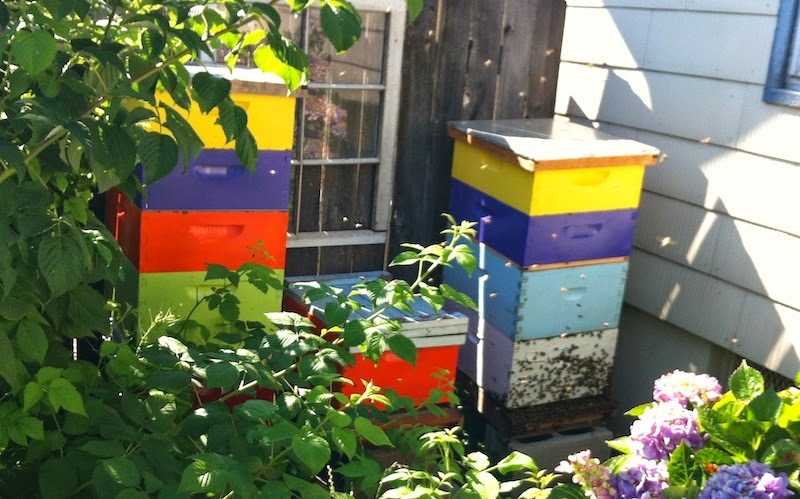 If you want to take that a step further and get active in the effort to classify neonicotinoid pesticides as "restricted use" in Oregon—which would mandate that any commercial use (e.g. at a greenhouse) requires a trained applicator—you should contact your state representative. As it stands now, Vaughan says, "if I owned a nursery in this state, my 11-year-old daughter could go out and spray everything with neonics. Common sense dictates that trained applicators should be the only ones do this, which dovetails with the new law (HB4139) passed in the last legislative session requiring that trained applicators learn about bee protection." For more information on neonicotinoids and their use, download the Xerces Society's brochure, Protecting Bees from Neonicotinoid Insecticides in Your Garden. 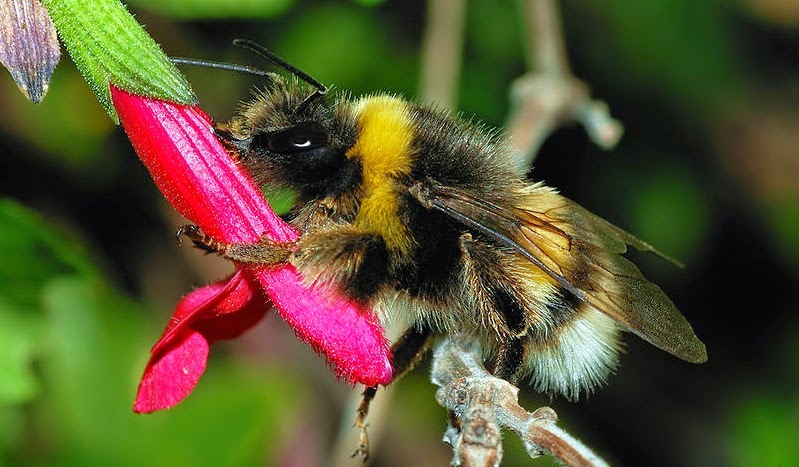 Top photo: buff-tailed bumblebee (bombus terrestris) by Alvesgaspar from Wikimedia Commons. When the sun has comes out, the last thing I want to do is be sitting at the computer checking Twitter or Facebook for the umpteenth time. So I head out with the dogs for a walk on a new route, or chuck them in the car and drive to a dog-friendly park or trail I've heard about. It's all about letting a little air into the routine, like taking a quick vacation, if only in my head. The same thing can be done with dinner. Tired of that same old meatloaf? Take it to Mexico with some cumin, chiles and lime, or to Greece with fresh oregano and oil-cured olives. I did it the other night with that ultimate boring protein, chicken. But did you ever consider that the bird gets that reputation because it keeps getting cooked the same old way over and over? I say take that chicken on a vacation! Because I'd been craving some exotic spices lately, the spice market, or souk, in Morocco seemed like the perfect destination for my poultry. With a palette of colors and flavors to choose from—brilliantly yellow turmeric, smoky red paprika, the intoxicating perfume of cumin—and the zing of lemon, this chicken wasn't ever going to be called bland again. Combine all the spices, including salt and pepper, in a 1-gallon zip-lock plastic bag. Place the chicken pieces in the bag with the spices and seal it. Then using your hands, squish the pieces around with the spice mixture until they're thoroughly coated. Let the chicken stand for one hour in the spices. Heat the oil in a large, heavy-bottomed skillet on medium high heat. Remove chicken pieces from the bag and place skin side down in the skillet, browning well on both sides. Remove the chicken pieces to a platter, then add the garlic and onions to the skillet and sauté. When the onion begins to turn translucent, add carrot coins and sauté for another 3 minutes. 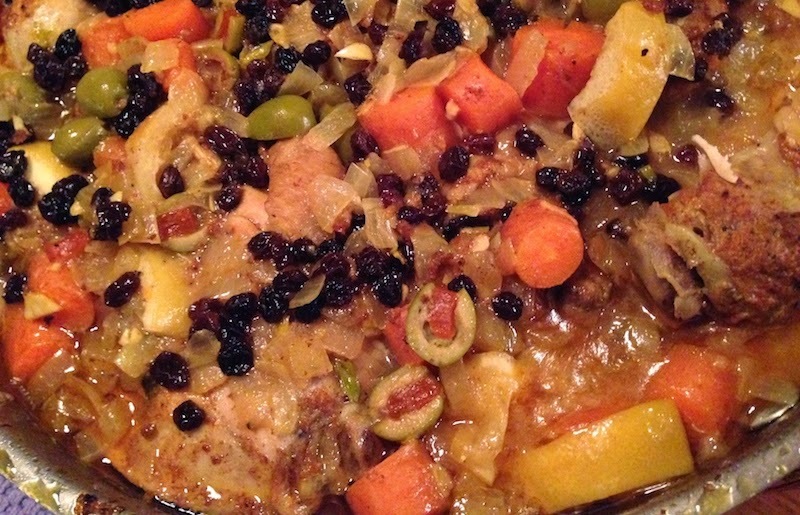 Remove the onion and carrot mixture to a bowl and add the chicken back to the skillet. Cover the chicken with the onion and carrot mixture. Add the lemon slices, olives, raisins and 1/2 cup water. Bring to a simmer on medium heat, then lower the heat to a low simmer, cover the skillet and cook for an additional 45 minutes until the chicken is cooked through and quite tender. 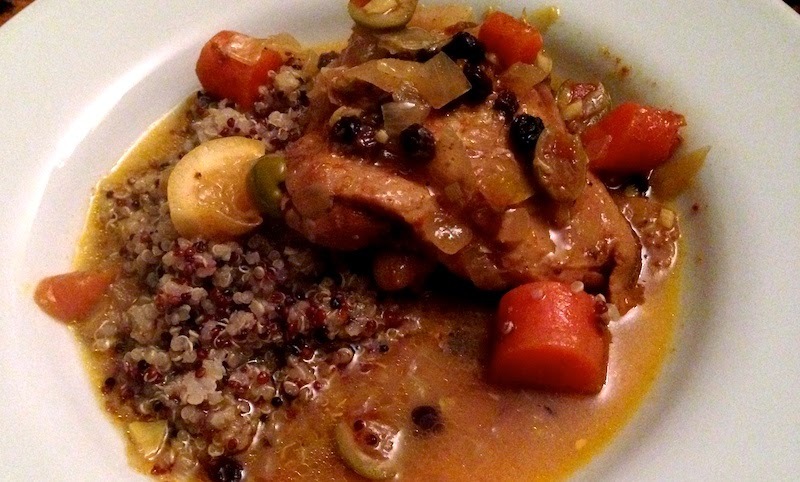 Serve with rice, couscous or quinoa. Anthony Boutard of Ayers Creek Farm is keeping me updated on the Great Horned Owl nest in the top of a snag near their house. This morning the mother had a surprise waiting for him when he came out to take look! This morning's sun on Day 68 revealed a fuller nest than I expected. 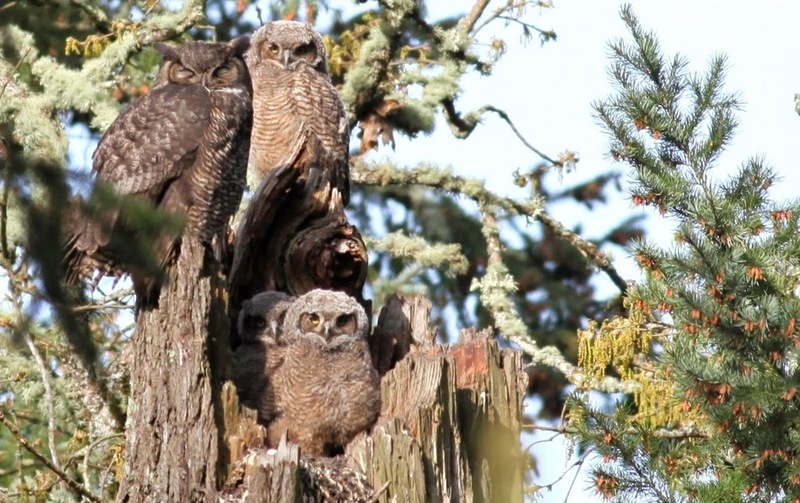 There are three owlets. Just the top of the head of third is visible to the right. 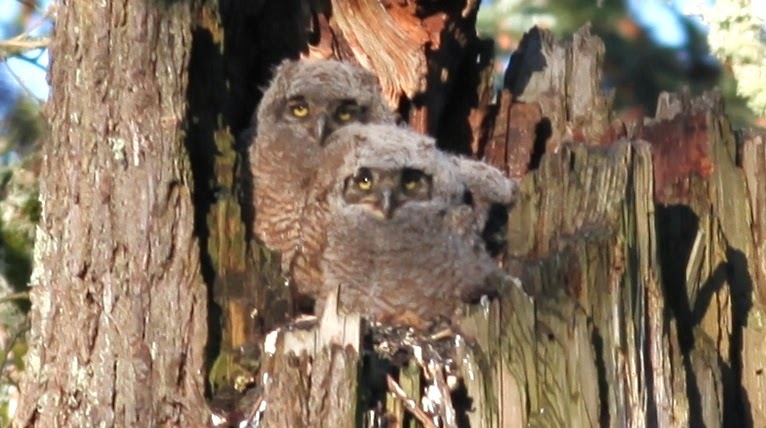 The older siblings are developing their immature plumage and the barest signs of ear tufts are visible. The surly gang is growing quickly and keeping the parents busy. This is the first time there have been more than two young. In the hole beneath the owls, a starling has set up house. She darts in and out all day long. A busy tree. This week's newsletter from the Beaverton Farmers Market had some valuable information for market shoppers who might be asking, "What are those bundles of greens and why are they all called something different?" Market manager Ginger Rapport gave me permission to reprint the answer here in case you were wondering, too. 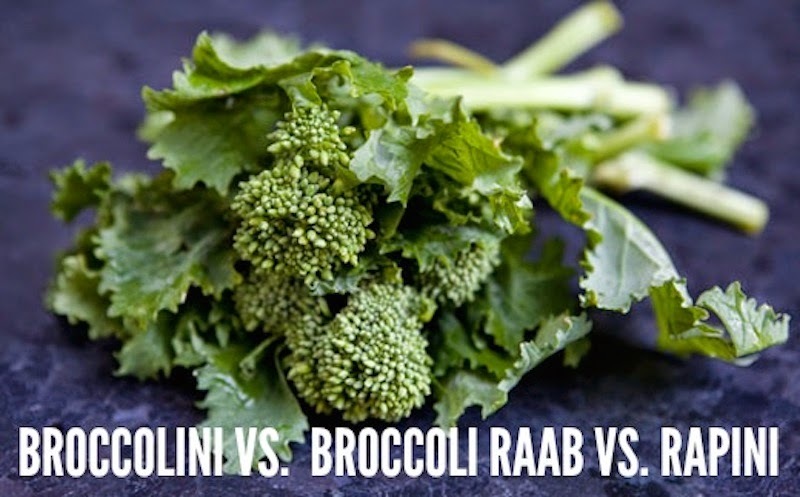 Do you get confused when you hear the words “rabe,””raab,” “rapini” or “broccolini” used in recipes? Let us help you sort this out because you will find some of these green vegetables in the market this weekend. First, a little taxonomy: Cruciferous vegetables are vegetables of the family Brassicacae, known as Brassicas or Crucifers. They include: cauliflower, broccoli, mustard greens, arugula, bok choy, kales and cabbages to name a few. Now, a little clarification. Broccolini is not baby broccoli. It is a cross between regular broccoli and Chinese broccoli with long stems, larger florets, and less leaves. It is less bitter than some of its relatives which is why it is often thought of as baby broccoli. Rapini and broccoli rabe are close cousins and are often used interchangeably. They are in the same subspecies as the turnip, hence they have the characteristically slightly bitter taste of this group. They do not form the large heads that we see in broccoli. The flower buds of brassicas from the turnip family are often referred to as rabe, or raab, derived from raps, which means turnip in Italian. This time of the year, you will find the rabes of many types of brassicas in the market—kale, mustard greens, Brussels sprouts, turnips, bok choy and Chinese cabbage. While each of these are from a common family there are slight differences in taste between them. With each, you are meant to eat the stems, buds and leaves, making them very easy to prep for cooking. Don’t be alarmed if the buds have begun to show their yellow flowers. Some feel that the flowers are a sweeter version of the parent plant. All of the aforementioned brassicas are excellent roasted, sautéed or lightly steamed. We don’t recommend boiling because it is easy to overcook the leaves in boiling water. The usual additions of garlic and a pinch of red pepper flakes makes for an easy and delicious preparation. Finish your dish with salt and pepper to taste and a squeeze of fresh lemon juice. 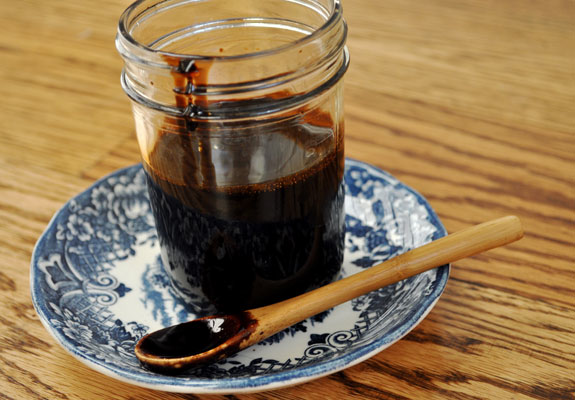 We also suggest that you try tossing your raabs with a Balsamic vinegar reduction. The reduction’s sweet finish balances the bitter quality of the greens. We like to keep a balsamic reduction in the refrigerator to have on hand as needed. It is delicious drizzled on salads, fresh vegetables, fish and meats. Boil in a small saucepan until reduced by half (one cup). You can continue to boil for a thicker glaze type consistency. 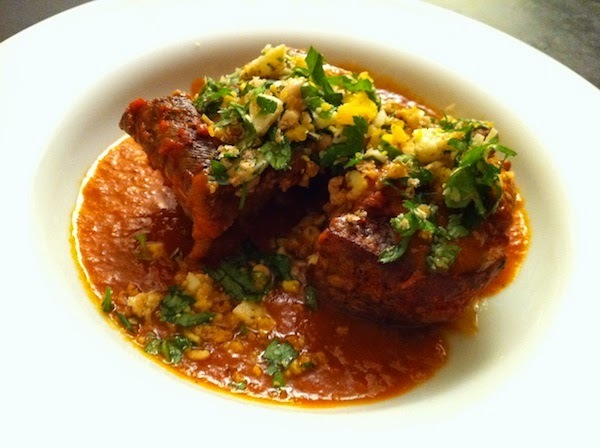 You may add a clove of garlic, minced, or fresh herbs such as thyme. Be sure to strain those out before storing. * Bottles of balsamic vinegar on store shelves labeled "Balsamic Vinegar of Modena" are a commercial grade product made of wine vinegar with the addition of coloring, caramel and sometimes thickeners like guar gum or cornflour. Authentic balsamic vinegar, labeled "Aceto Balsamico Tradizionale di Modena," is produced from the juice of just-harvested white grapes (typically, Trebbiano grapes) boiled down to approximately 30% of the original volume to create a concentrate or must, which is then fermented in a slow aging process which concentrates the flavors. Living here in the densely populated land of plenty that is Oregon's Willamette Valley, it's easy to forget that there's another Oregon just a few hours away on the other side of the Cascade Range. It's a much drier place, a high desert populated by sagebrush, pine trees and rolling hills where cattle outnumber people. Other mountain ranges, including the Blue Mountains and the Wallowas, are dotted with deep lakes, and the deer, elk and other wildlife that live there have adapted to the extremes of temperature that can go from well below freezing in winter to above 100 degrees in summer. The original building that became the Lostine Tavern. access to fresh foods. That's one reason why Joseph resident and writer Lynne Curry and her business partner, rancher Peter Ferré, have decided to rebuild a landmark tavern in the tiny town of Lostine, 10 miles northwest of Enterprise. 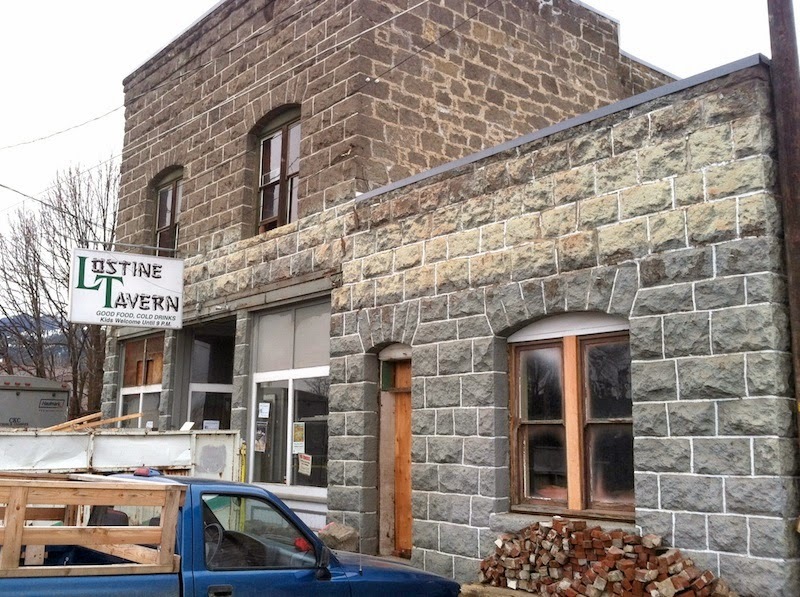 The Lostine Tavern, built in 1902 from locally quarried Bowlby stone, was originally a pharmacy and doctor's office, then became a tavern in the 1940s until it closed in January, 2013. Curry and Ferré, both active in efforts to revive a strong local food system, hope to build their menu around produce and meats from area farms and ranches. Which includes bringing back community favorites like taco nights and pie socials, as well as cooking classes and a small market and deli that they hope will nurture the beginnings of a rural food economy. 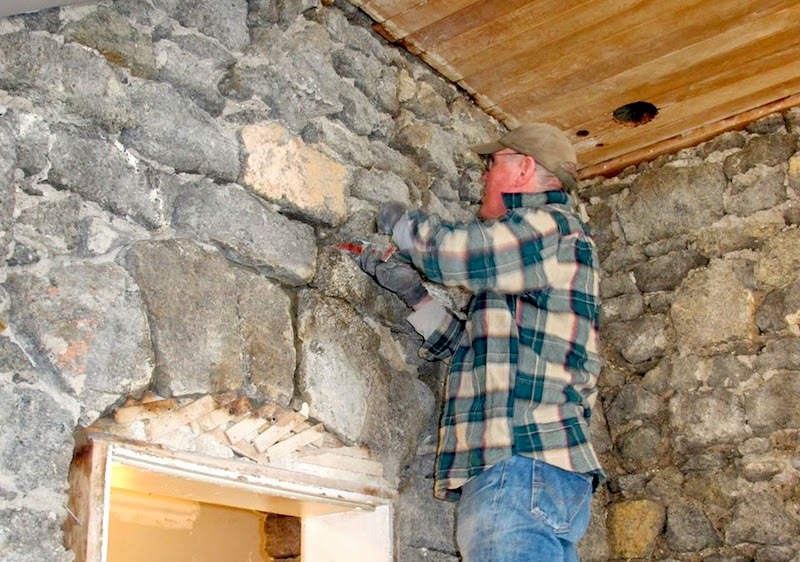 Detail of original stone walls, wood ceiling. Cool! Curry admits it's a bit of a stretch to build a successful farm-to-table restaurant considering the size of the population in the area, but is encouraged by the enthusiastic response they've received from local residents. 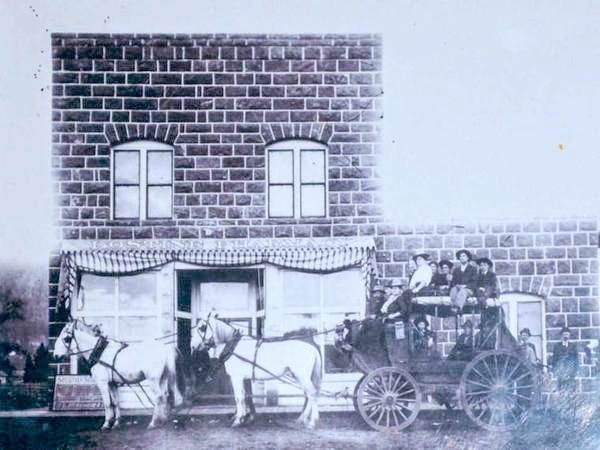 And because of a tragic fire in early February that burned the South Fork Grange and Norton Welding—two adjoining historic structures that formed the core of the small downtown—to the ground, the rebuilding of the tavern has become even more critical to the community. Please consider donating whatever you can to their campaign, which ends on April 14, but also plan to visit after the tavern opens in mid-May…this stunningly beautiful area is going to get even more amazing.